Awesome news!!! Thank You God for all that you have done and all that you continue to do. In Your precious name, Amen. YAY, God! 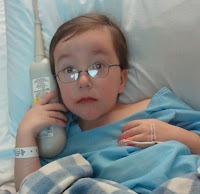 What a brave little man ... good job, Sawyer! !